The media industries have time pressures like few others, just like the need for absolute flexibility, dependability and budget efficiency. At Hunt & Palmer, we know the importance of these factors and the impact they have on missing important windows for filming or production. 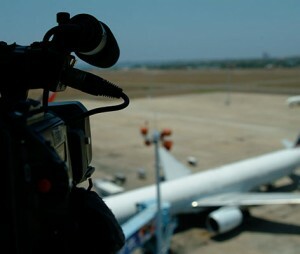 Often with months of advance and detailed planning, flights for stars, crew, set and the vital equipment between locations is a key ingredient for successful productions. Sometimes though, the news and media industries require us to move as fast as the events unfold around the world. With our comprehensive understanding of the dynamics of the media industry, we’re on hand at any time, wherever events need to take you. Talk with the media team to discuss your requirements today.